Just one day after appearing on “Off The Bench”, Coach Bill Becher and his Harrisburg City Islanders, took the field at home against the Charleston Battery to defend their perfect 3-0-0 record. However, the City Islanders went on to lose the match 2-1 and notch their first loss of the 2013 season. 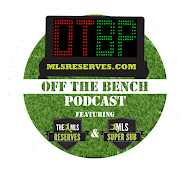 Although Coach Becher couldn’t get the Off The Bench bump to propel him to victory, there are still two USL Pro teams who are still sitting on an undefeated season. The Richmond Kickers currently have a 2-0-1 record and are sitting in 7th place in the USL Pro standings. They have beaten both the Charleston Battery and the Rochester Rhinos by an impressive 4-1 score line so far this season and opened their season with a 0-0 draw with the Pittsburgh Riverhounds. That is an impressive goal differential for any team to open a season with. The Charlotte Eagles are the other undefeated team still standing in USL Pro. The Eagles have a 2-0-2 record and are currently sitting one spot above the Richmond Kickers. In their 2013 campaign the Eagles have defeated the Antigua Barracudas and the Pittsburgh Riverhounds both by a score of 2-0. Their two draws were against Rochester and Orlando by a score line of 0-0 and 1-1 respectively. The Eagles have also racked up an impressive goal differential so far this season. The question remains, how long can these clubs stay undefeated? Well, that answer may come sooner than later. The Kickers will travel to the Wilmington Hammerheads on Friday evening (730PM Eastern) to put their undefeated record to the test. 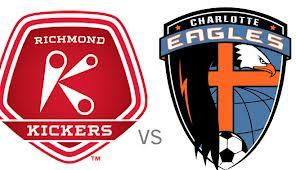 If the Kickers can pull off a result against the Hamerheads, then the stage will be set for a dramatic showdown of the “undefeateds” Saturday night (7PM Eastern) as the Charlotte Eagles travel to City Stadium to face the Kickers at home. This will definitely be a game to keep an eye on. Don’t forget you can catch all the action streamed live to your device on USL Live.